I’ve said this before, and I’ll say it again – to be a Catholic is to be Pro-Life. 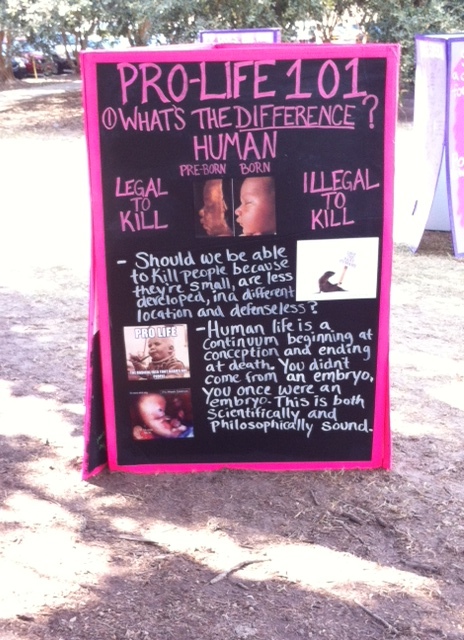 You can’t be Catholic and pro-choice. It just doesn’t work. 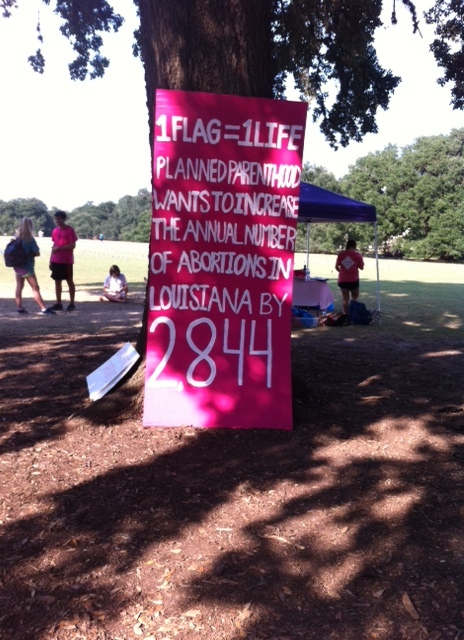 That being said, let me tell you a little about what LSU’s Students For Life Club spent yesterday doing. 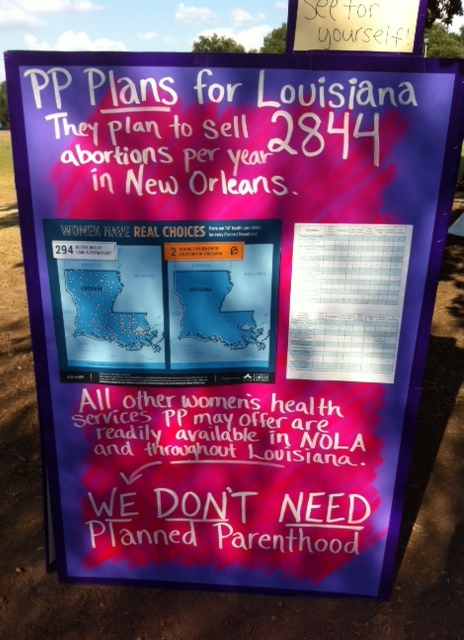 Planned Parenthood Gulf Coast thinks that Louisiana needs 2844 more abortions every year to be “healthy” and they want to provide those abortions at the new clinic they’re trying to build in New Orleans. 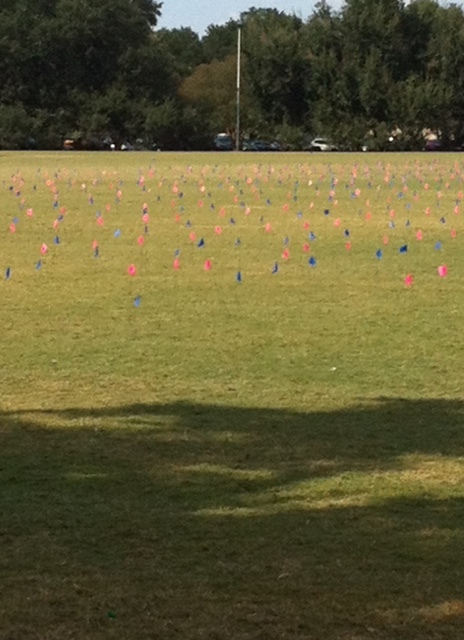 So each flag represents one child Planned Parenthood thinks needs to be aborted. Isn’t that horrific? And get this – the new clinic was supposed to be up and running by now. Instead it’s still in the building stages, early building stages. 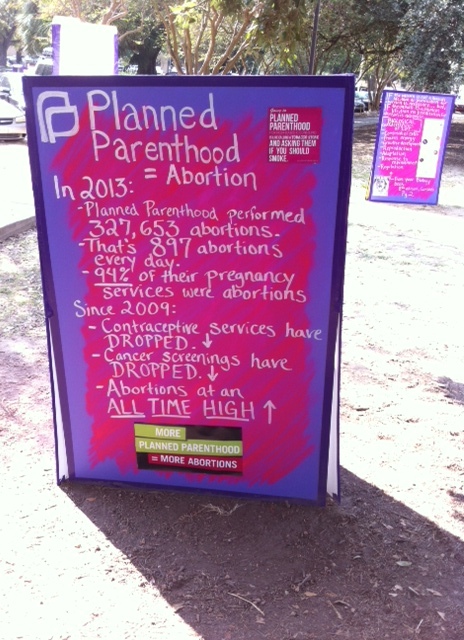 So there are at least 2844 babies who were born in the last year that Planned Parenthood thinks shouldn’t have been born – but aborted. Isn’t that insane?! 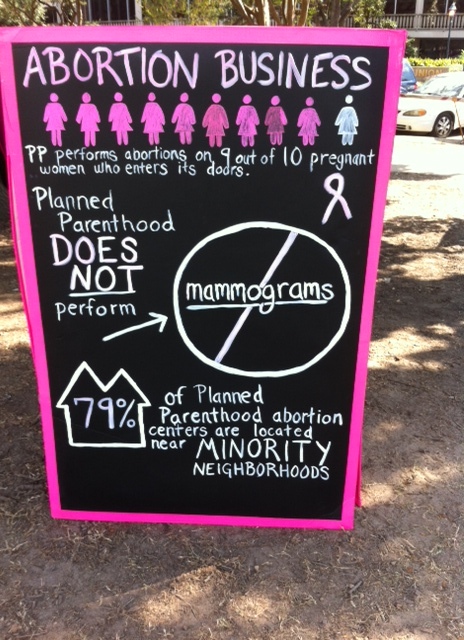 All day long we had people coming and talking to us about the exhibit, what it meant, and we made a whole lot of people start thinking about what Planned Parenthood is really about. It was a good day. 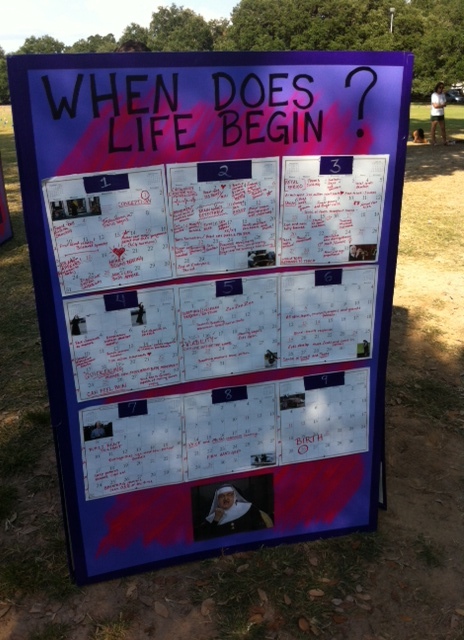 We’re in the middle of 40 days for life right now! 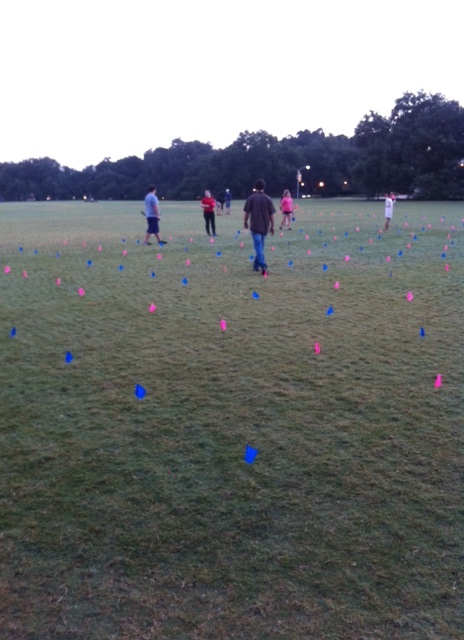 Do something to stand for life – whether it be praying outside an abortion clinic, wearing a pro-life t-shirt, or just offering prayers for all those affected by and involved with abortion.